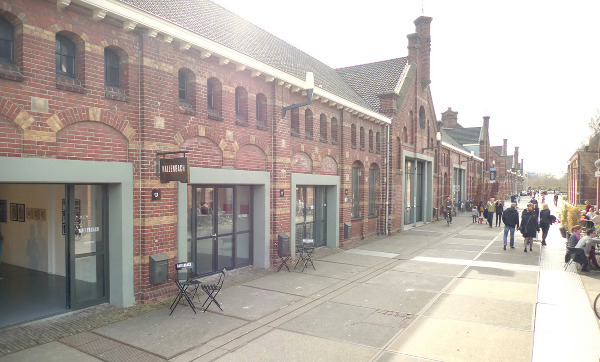 We are very happy to introduce our new gallery Kallenbach in Amsterdam. Kallenbach will show the work of artists Stefan Glerum, Raymond Lemstra, SIT and many more upcoming and well-known artists; both national and international. Nanna Kassenaar has been the agent of a select group of artists for several years with the agency Rooftop. During this period there have been collaborations with galleries in New York, Los Angeles, Hong Kong and Berlin and the artists have presented their work internationally through these galleries as well as on multiple artfairs such as Blooom, SCOPE, Stroke and the KunstRai. Additionally, we will now also host exciting exhibitions at our homebase Kallenbach gallery. The gallery will exhibit work that could vary in style and discipline, but has one element in common; the work may be regarded as unconventional within the more traditional art scene. The gallery operates from an interest and passion for movements usually labeled as underground, lowbrow and urban art. At the same time keeping an eye out for new movements and emerging contemporary art. We aim to introduce the public to these exciting and innovative artists in an open and approachable way.